Normal laptops range from 11.6in up to 17.3in. Size is an important factor to consider, as well as display resolution/quality. Some laptops need to be manually calibrated to get the best colour performance, but a colorimeter is needed to do this properly. Until recently, laptops lagged way behind tablets in terms of screen resolution, but now a handful of models offer ultra-high resolution. SSD storage is fast, but expensive. Most portable laptops use SSD storage, and it’s often cheaper to invest in an external HDD than to upgrade. Before switching between OS X and Windows 8.1, make sure you’ve factored in the cost of software. Desktop replacement laptops will generally only last a few hours, but ultra-portables often last for 8-10 hours off one charge. Most laptops feature an SD card slot, but others offer a multi-reader. CF users will need a separate reader accessory, though. The champion laptop for most creative types is the MacBook Pro. These models offer the perfect storm of portability, a decent amount of power and, since the introduction of Retina displays, superb screen quality. While MacBook Pros do not have touchscreens like many higher-end Windows machines, the 2880 x 1800-pixel resolution of the 15in version gives you the equivalent resolution of a 5-million-pixel photo. 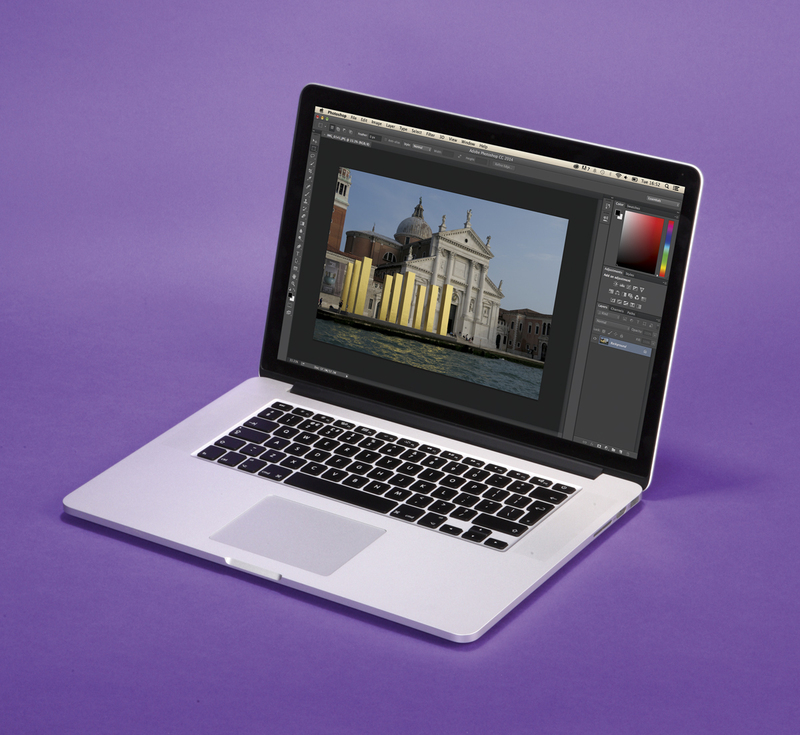 It also supplies fantastic colour gamut coverage, with 93% of Adobe sRGB. What you see on a MacBook Pro screen is accurate and Mac OS X offers profiles to tweak screen calibration with a few clicks. Up to eight hours of battery life, fast SSD storage and reliability makes for a strong skill set. There are a few holes: the glossy display is fairly reflective for outdoor use; the lack of an HDD option means getting more storage is expensive; and just two USBs can be limiting if you’re looking to replace a desktop computer. 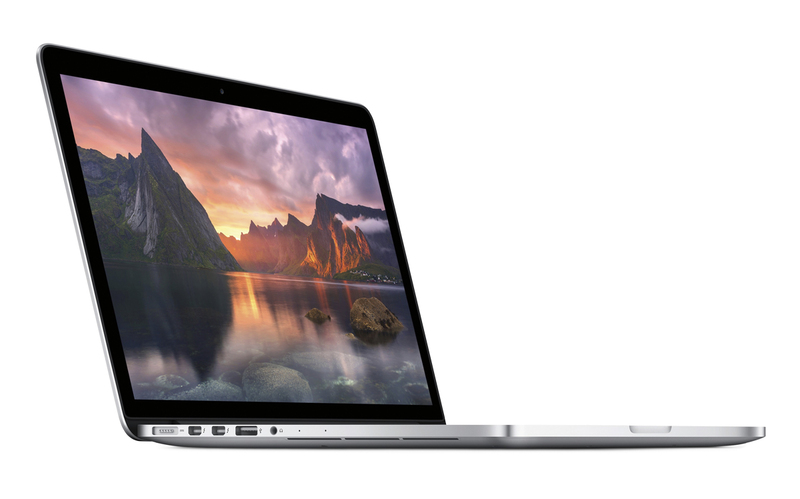 Where the Apple MacBook Pro offers an excellent all-round laptop for photographers, those after an extremely portable option should check out the smaller MacBook Air. It’s one of the best-value, ultra-slim metal laptops around. The 13.3in version weighs just 1.35kg and gives you up to 12 hours of use off a charge. You won’t see that sort of stamina if you perform a lot of processor-intensive image editing, but most Windows-based laptops can’t get close. It offers few compromises on power too, as you get the Intel Core i5 processor used in most other Ultrabooks. Our top tip is to upgrade the RAM to 8GB for better performance. Other than having limited (but very fast) SSD storage and only two USB ports, the main drawback of the MacBook Air is its screen. Resolution, contrast and colour accuracy aren’t on-par with the other high-end laptops here, which use IPS screens. The Air still uses a TN-type panel that can’t quite keep up. 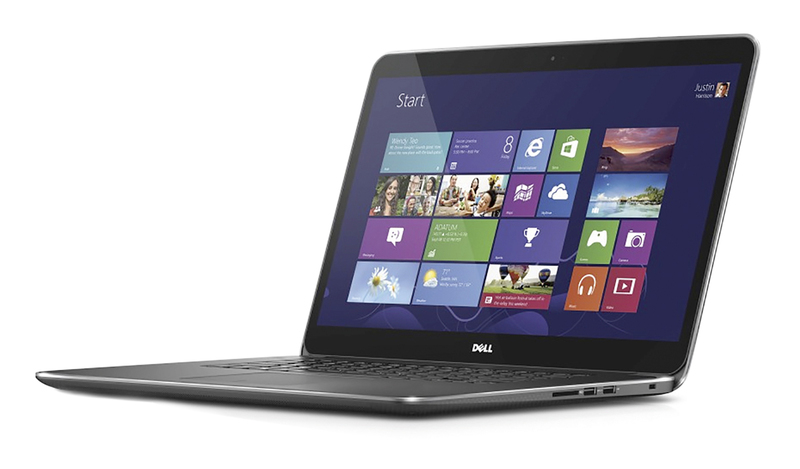 The Dell XPS 15 is about as close as you can get to a MacBook Pro rival that runs Windows 8.1 natively. It’s portable, offers quad-core Intel Core i7 power and is aluminium-armoured. In some respects, the Dell XPS even beats the mighty MacBook Pro. It offers more pixels on screen, with a wider-aspect, 3200 x 1800-pixel display. It’s not an IPS display, but a PPS one; the two technologies are similar, offering wide viewing angles. A bit more work is needed to get the most out of the XPS 15 screen, as colours are overcooked fresh out of the box. Post-calibration, though, I found performance to be excellent. The Dell XPS 15 also offers the (cheaper) option of a 1TB hard drive rather than a 512GB SSD, making it a good choice for those looking for a good level of baseline storage before needing an external hard drive. 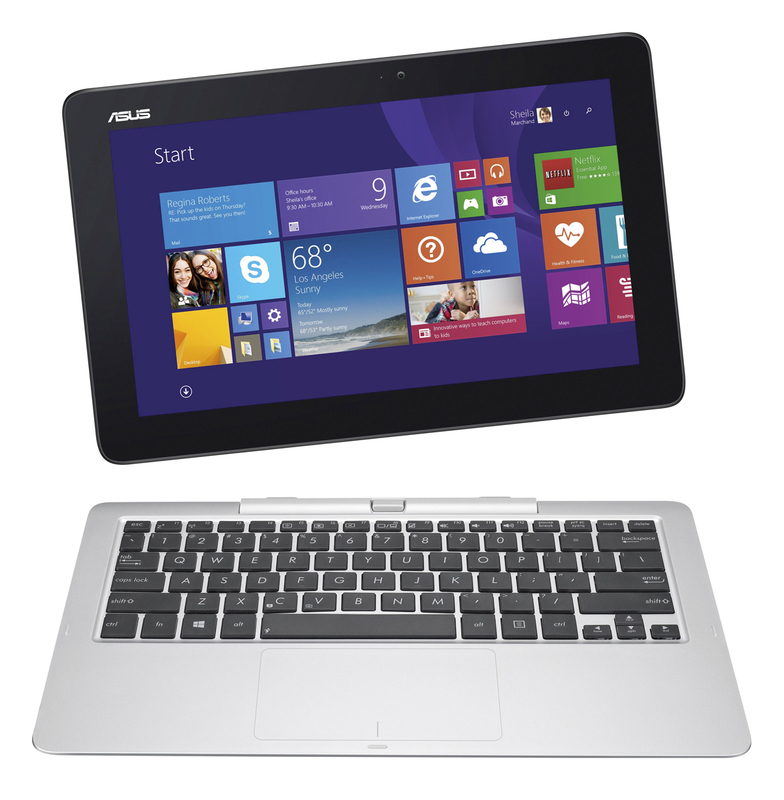 Asus is a master of convertible tablet-laptop hybrids, and its latest is the Transformer T200. The tablet has an 11.6in IPS display (most laptops at the same price still have TN panels), as well as 2GB RAM and a keyboard base with a 500GB hard drive. While this style means the Transformer T200 isn’t as light and thin as some 11.6in laptops, it’s a big win for versatility and value. It’s still light and small enough to carry around in a bag all day, and it lasts for up to 11 hours off a charge. It also has two USB sockets for simultaneous connection to an external hard drive and a mouse. Using an Intel Atom CPU, it’s best suited to light editing, and the 1366 x 768-pixel screen isn’t as sharp or colour-accurate as our other picks. 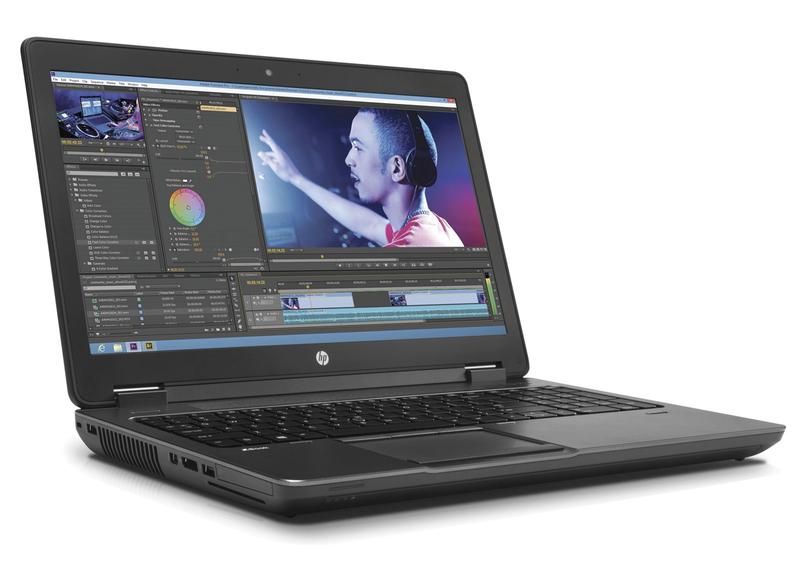 THE HP zBook 17 is a serious laptop for creative professionals looking for something to function as their main computer. The resolution of the 17in screen is only full HD, but the DreamColor display is exceptional in terms of colour performance. It’s one of the few laptops that can actually exceed the Adobe RGB colour space, and there are easy-switching modes to keep the display in line with all the major professional standards. It also has a pro-grade graphics card. The zBook 17 uses various Nvidia Quadro models, which are designed for graphics rendering rather than gaming. The zBook 17 weighs 3.46kg, and ranges from £1,540 to more than £3,000 for top-end versions. It’s not small, and not cheap, but it offers scope for more RAM, more storage and more raw power than any other laptop in this group. Hybrid tablet-laptops often offer low-power internals because all the brains have to exist in the screen part, but there is a third style of laptop. 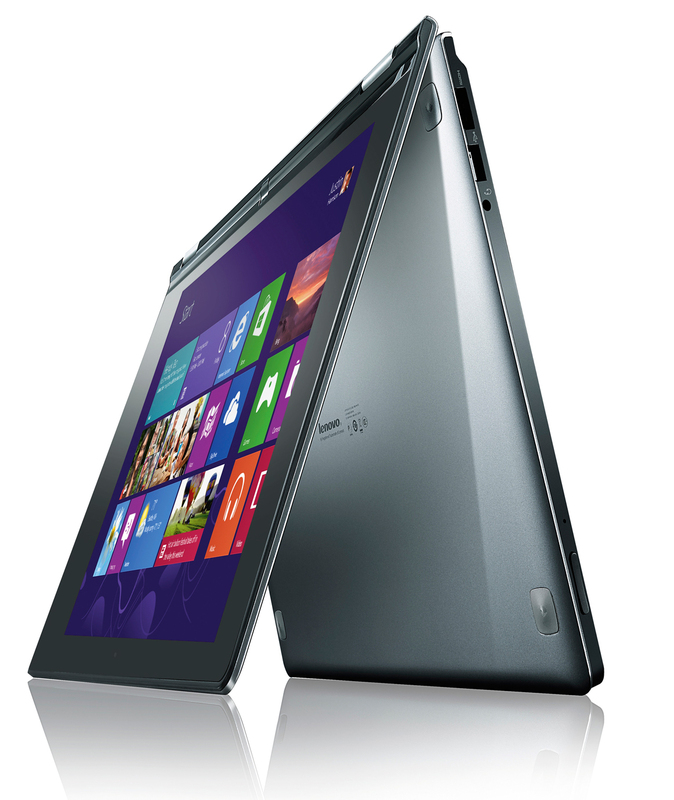 The Lenovo Yoga 2 is not a conventional hybrid, but it does have a screen that tilts 360°. It means the Yoga 2 can provide a tablet-like experience as well as a laptop one, and the keyboard can double as a stand, turning it into a super-powered picture frame. As the brains and battery can be shared between the screen and keyboard, the Yoga 2 is able to offer significantly more power than most convertible laptops. 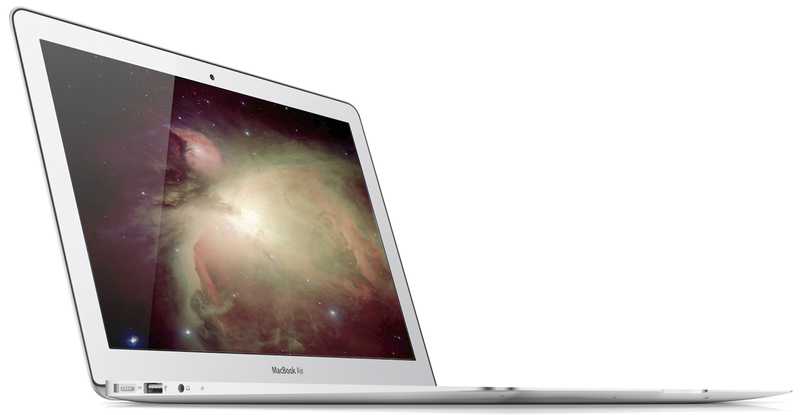 It uses Intel Core-series processors, providing roughly as much poweras a MacBook Air. The 13.3in, full HD touchscreen also offers decent colour accuracy. If power and portability are of paramount importance, the Yoga 2 is a great choice. It offers up to eight hours of battery life and weighs just 1.66kg – perfect for long shooting days.